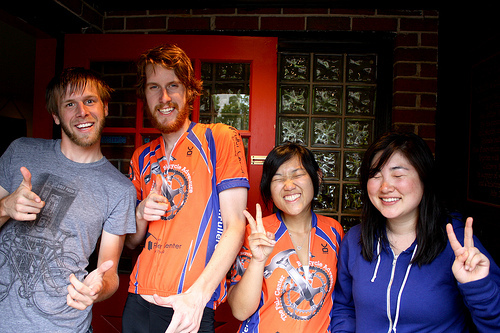 The start of the Fuller Center Bicycle Adventure 2010 is only 25 days away! Niagara Falls, June 20 – The team is inviting locals to meet them at 2:30 p.m. on Goat Island at Top of the Falls Restaurant. The group will take photos, talk about The Fuller Center and kickoff the third annual Bicycle Adventure! Cleveland, June 23 – Meet up with the team at the Rock-n-Roll Hall of Fame to ride the Metro Parks bike path through Cleveland. Aurora, OH, June 24 – Volunteer with the cyclists and Northwest Portage Fuller Center for the partner’s first day of building on their first house project. 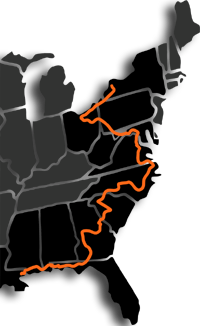 Pittsburgh to Washington, D.C., June 28 to July 3 – The team will ride almost completely on rail trails (weather permitting), the first time the Bicycle Adventure has spent significant time on bike paths. Washington, D.C., July 5 – Join the Fuller Center of Northern Virginia, GEICO employees and the bike team for a special day of rehabbing five houses in partnership with Mend-a-House and ACTS. Americus, GA, July 24 – Meet the team at the National Civil War Museum in Andersonville to ride the last 13 miles into Americus, home of The Fuller Center for Housing. Tallahassee, FL to Fort Walton Beach, FL, July 29 to 31 – The team will take the scenic route through the Apalachicola National Forest. If you are interseted in participating in any of these build days or joining the team to ride for any length of time, contact the trip leader, Ryan: bike@fullercenter.org for more details.